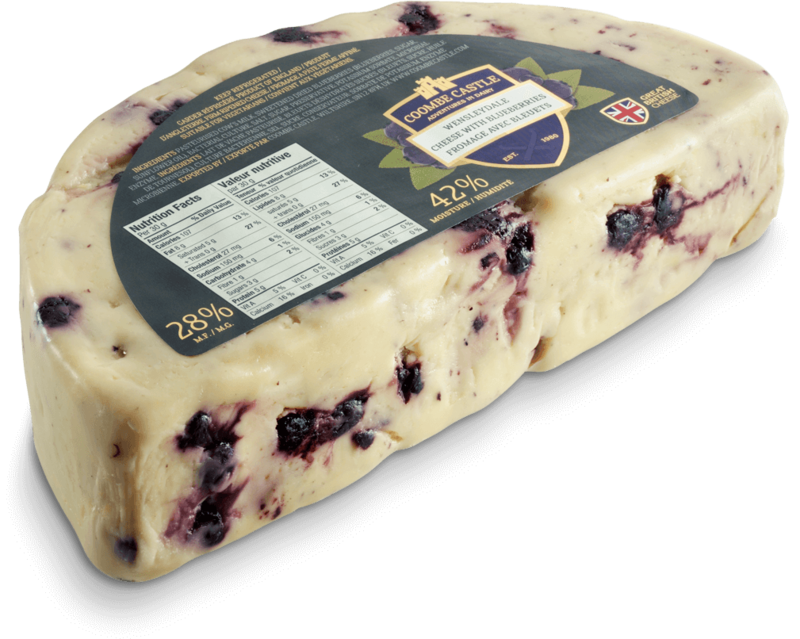 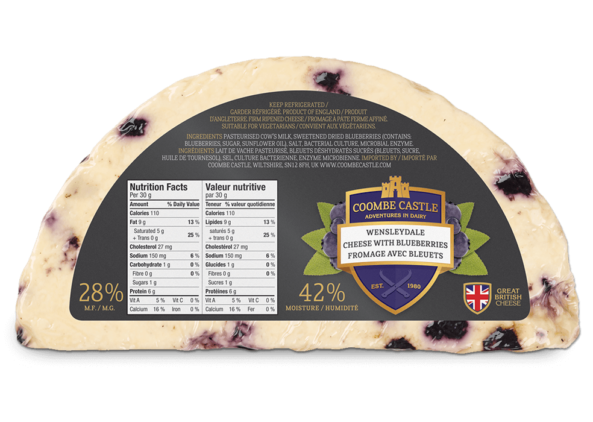 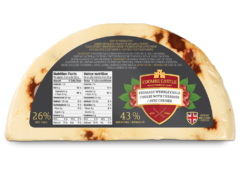 Our Coombe Castle Wensleydale is combined with the finest blueberries to make this classic sweet blend. 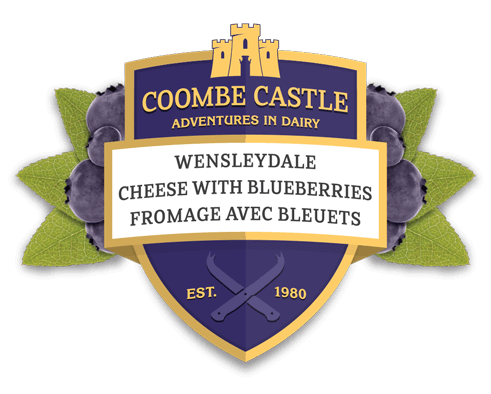 The deep purple flecks of the blueberries create a striking contrast with the creamy coloured Wensleydale. 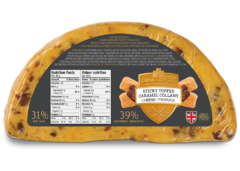 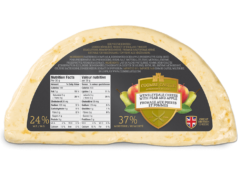 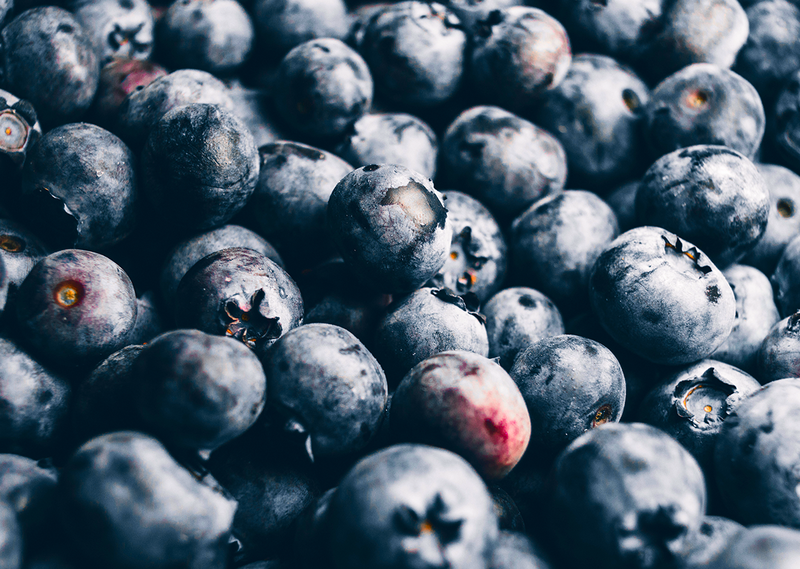 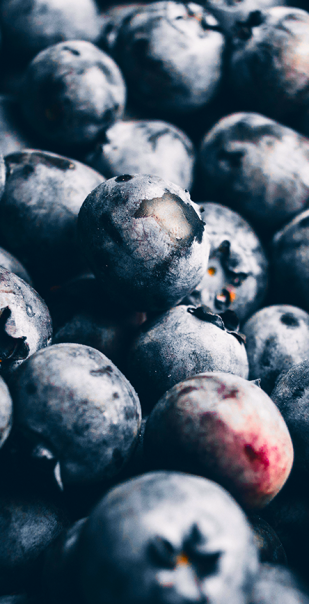 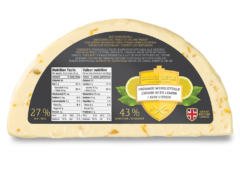 Pasteurised Cow’s Milk, Sweetened Dried Blueberries (Blueberries, Sugar, Sunflower Oil), Sugar, Salt, Preservative: Potassium Sorbate, Blueberry Flavor, Vegetarian Rennet, Cheese Cultures.